Diana, Princess of Wales had it, as did Margaret Thatcher, the Queen certainly does and our new PM Theresa May will require heaps of it to lead the country. We talk of course of charisma; the attributes of a person that when packaged up together make them appealing enough to inspire us to follow them. But are women doing enough to let their natural charisma shine through? As Theresa May makes herself comfortable in Number 10, just the second female Prime Minister in the UK’s history, thoughts turn to how to identify and develop those traits that make women strong leaders. It’s no surprise that charisma and leadership go hand in hand, as the one enables the other. JFK, Gandhi, Churchill, most political leaders in fact could be said to be charismatic leaders; charming, able to communicate a vision effectively, offering a demonstrable empathy for others. And in many ways this profusion of strong male leaders throughout history has perhaps led to the perception of charisma being a more masculine trait. However evidence has pointed for some time (Riggio in 1986 and more recently Groves 2005) that it is actually women who have stronger social and emotional skills, the type of skills in fact that enable them to be charismatic leaders. 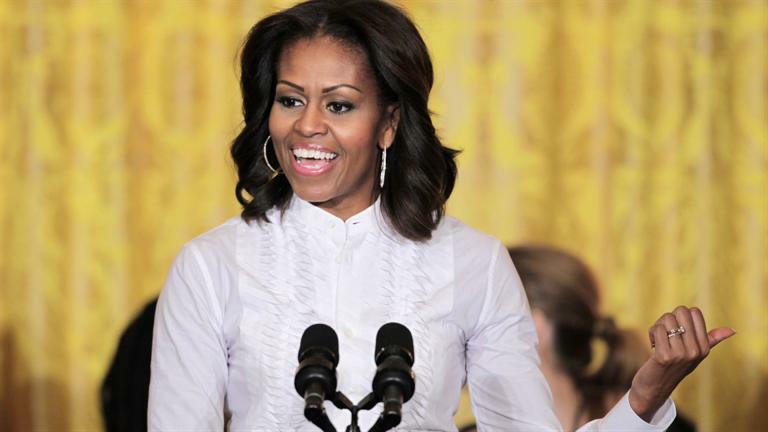 Hilary Clinton, Michelle Obama, more and more charismatic female leaders are coming to the fore, happy to demonstrate the traits that make them effective leaders. Having a charismatic leader at the helm is said to bring numerous business benefits at many levels, indeed charisma is said to be the most important dimension in a transformational leadership style, the type of leadership that inspires loyalty and devotion. Transformational leaders appeal to emotions and consciousness, the moral compass of the follower that already knows the way things should be done, they just need a strong leader to show them the way. A study from Eagly in 2003 found that women are more likely to use a transformational leadership style. Some are undoubtedly more naturally charismatic than others, but this is not to say that charisma cannot be developed. A key indicator for charisma is actually self-awareness and the ability to accurately identify the effect brought upon others. Someone lacking in charisma will proceed regardless of discomfort of others, most likely they won’t even notice. Charismatic people regularly monitor their own behaviour and are extremely adept in all manner of social and business occasions as a result of this. Tied to this is the ability to read the non-verbal cues of others, all that is being communicating that is not said, and studies (Riggio and a number of others) have found that women are more skilled at doing this than men. Perhaps the measure that most use to determine charisma though comes in verbal communication and the ability to articulate a vision. It is when speeches are delivered and the leader is stood alone with the focus entirely upon them that others assess their charisma. Again, this is something that can be developed, and whilst content may be assessed for charisma in terms of language, cultural sensitivity, empathy and so forth it is actually the delivery that has the greatest impact upon perceptions of charisma. Does the leader know how to engage an audience? Can they maintain their attention? Is there something about the leader that intrigues? If the answer to all of these is yes, then the audience will most probably classify the leader as being charismatic. Strong emotional and social skills, self-awareness, empathy and excellent verbal and non-verbal communication skills, women possess all of the ingredients required to be charismatic leaders and as we progress through the 21st century we are likely to see many more charismatic female leaders emerge. Paul Russell is co-founder and director of Luxury Academy London, www.luxuryacademy.co.uk, a multi-national private training company with offices in London, Delhi and Visakhapatnam. Luxury Academy London specialise in leadership, communication and business etiquette training for companies and private clients across a wide range of sectors. A dynamic trainer and leader, Paul has designed and taught courses, workshops and seminars globally on a wide variety of soft skills, and offers a free training programme for women in India with the aim of addressing inequality through improved workplace soft skills such as confidence, assertiveness and body language.